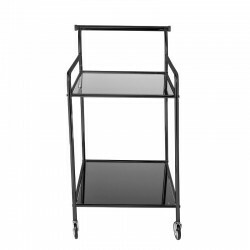 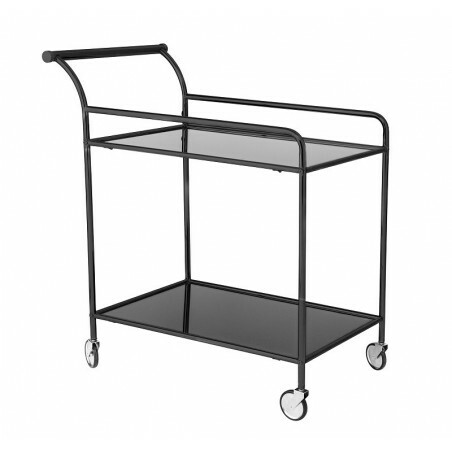 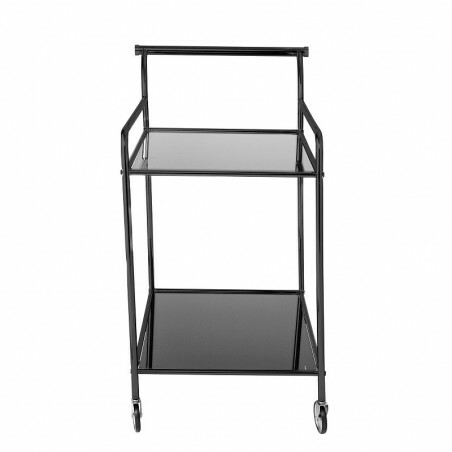 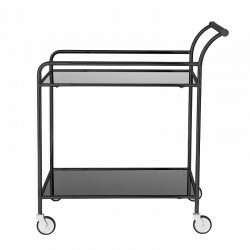 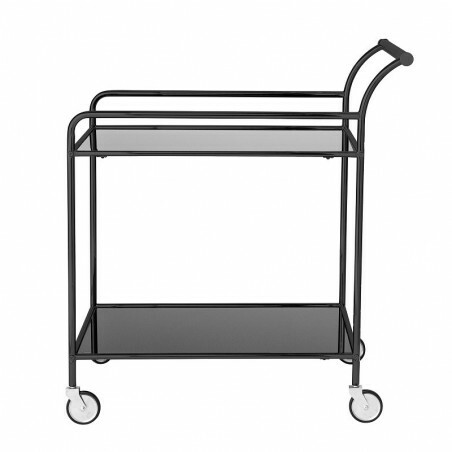 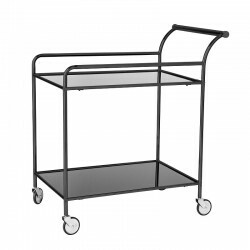 Serving trolley in black finish metal. 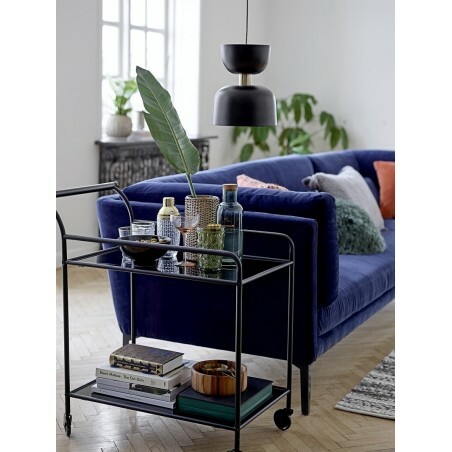 Perfect for serving drinks and cocktails, the Bloomingville Fine Trolley comprises a sleek black metal frame, a toughened glass shelf and top. 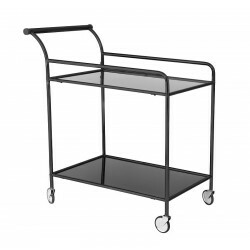 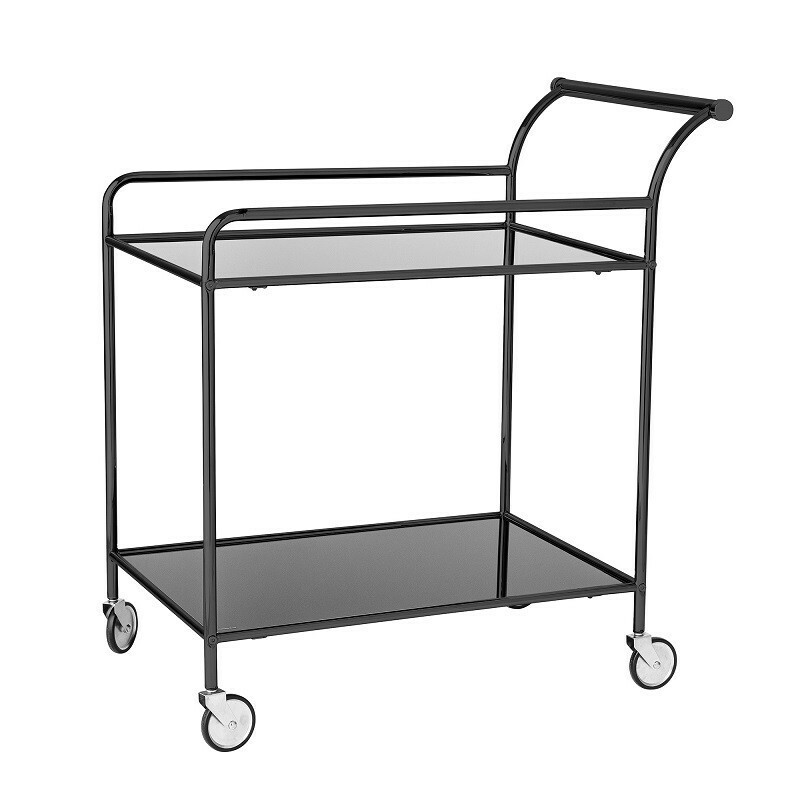 This contemporary trolley will be easy to move from room to room thanks to the castor wheels and a sleek handle.